Since Autism was first used as a term in the early 1900s people have been looking for, and touting, various cures. The latest fad miracle is Chlorine Dioxide (MMS- or Mineral Miracle Supplement) Treatment. Several books have been written on the subject, new websites are popping up everyday, and suppliers are emerging so fast it is hard to keep track of them all. Hoards of parents are using the various forms of Chlorine Dioxide treatment in the hopes of curing Autism. Should we be using bleach-based oral therapies for our children? 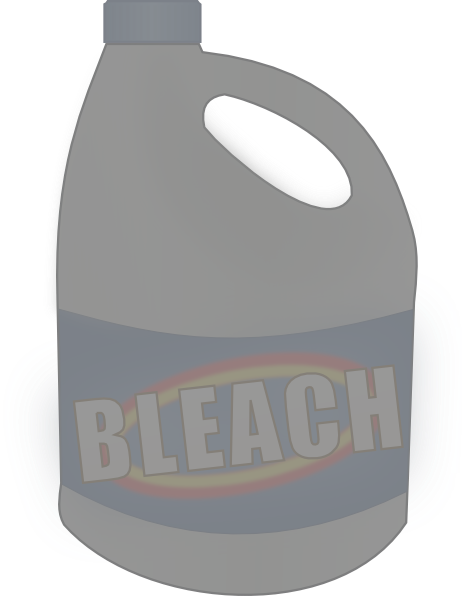 I am APPALLED that there are parents out there willing to feed their children bleach, because that IS what this treatment comes down to, in hopes of curing Autism. Leaving aside the repugnancy of 'cure' rather than strategies to help your child be the most glorious person they can be, that aside, Chlorine Dioxide Treatments come down to, quite simply, poisoning your child. If you are as outraged by this current 'fad' as I am, please also consider joining the facebook group. Please, help make sure no person is poisoned in an effort to cure Autism. As I come across other blogs, research articles, websites, et al on this subject I will add them here! I came across a group called CD Autism on Facebook. I joined and was totally sickened to the pit of my stomach. Thousands of parents worldwide are following a book called, Healing the symptoms known as Autism by kerri Rivera. She makes false claims to cure children of their autism. Yes you read this right! She draws on the vulnerable who are looking for support and advice. She claims autism is something to fear! How could she make such a awful claim when she herself is a mother to a child with autism. She claims to have recovered 138 children of their autism. How can she make this ridiculous claim. It's done out of greed, money and power! Children are being given drinks, baths, sprays and enemas containing Chlorine Dioxide. The FDA updated their website in April 2014 waring people about false cure autism claims. When concerned parents ask about this they are redirected to a false FDA website which says it's safe. I have read many horror posts from parents saying their children have breathing problems, rashes, headbanging. All of which started soon after taking chloride dioxide. The cure autism protocol. They seek advice for this from members instead of a real doctor. Chlorine Dioxide is industrial bleach. It's not meant to be inside the human body. The long term hidden effects of using this will be, heart diseas and cancer. I just wish those parents could accept their children and live them unconditionally. AUTISM ISN'T ANYTHING TO BE AFRAID OF! IGNORANCE IS!! Acceptance is what this world needs. It is truly shocking reading about the cure autism protocol. How can a parent believe that giving chlorine dioxide in drinks, baths and enema will cure them of autism. This shocking book dhould be taken off sale anf that cd autism Facebook group closed. Over 6000 members in that group all giving their children this dangerous stuff. It breaks my heart. Kerri Rivera should be behind bars for this. It's child abuse and she is the ring leader. Here's a recent review which shows the position of those parents who use this protocol. I would urge everyone to take a moment to click "No" on this review. Say no to Chlorine Dioxide for Autism! Chorine bleach that is used as a disinfectant is sodium hypochlorite, which is a completely different chemical than chlorine dioxide. We have used chlorine dioxide for years to promote quicker healing from colds and other viruses. We have a son with autism. I could not say it would or would not cure children of autism, but like so many other types of treatments that heal a few children along the way, I do not discount it. I don't believe it would heal my son of autism though. I'm sorry but test's have been run on clothes. Chlorine dioxide mixed to the right strengths used in the cd protocol have been put onto black clothing! Guess what! It bleached the colour out. What does this do to a childs insides? Chlorine dioxide is dangerous and should not be inside the human body. The long term effects of using this will be, heart disease, cancer and many more life threatening problems. Adults have a choice but autistic children have none! It's dangerous and its child abuse!!!!! Adults have a choice to use chlorine dioxide but autistic children have none! It's dangerous and should not be inside the human body. Try putting chlorine dioxide onto black clothing and watch it strip the colour! Why, because it is bleach. In years to come we will see a rise in heart disease and cancer. Chlorine dioxide has been used for ages to heal herpes virus sores,externally. It has always been known to be harmful if ingested. There are accounts of children falling ill,,becoming jaundiced or worse. Is this an acceptable risk to "cure" or "heal" your child's Autism,something that doesn't even warrant healing. Accept your child and loved one's differences. It's what makes the world go around. You are right, chlorine dioxide is indeed used at the industrial level in safe amounts, for things such as treating water and disinfecting produce to increase the shelf-life. It is also used for other bleaching activities such as to bleach paper/wood pulp - obviously at much higher concentrations, and not for human consumption. However to compare this sort of activity to ingesting it in the quantities as recommended by the protocol is simply dishonest, because the differences are extreme. The protocol calls for concentrations of 25-50ppm. "Chlorine dioxide is effective and safe at concentrations of 0.5 to 5 ppm in solution. The maximum allowable concentration for contacting produce with chlorine dioxide solution is 5 ppm. This level has been chosen by the NFPA (National Food Processors Association) and The FDA (Food and Drug Administration)." According to Rivera, it's completely okay to ingest 5 TO 10 TIMES the accepted maximum safe amount used for washing fresh produce (which is then rinsed off a few minutes later). Sorry, but if you're backing that up, your credibility is basically zero at this point. To add to this, I just found a video on Youtube where Kerri Rivera demonstrates how to make a 3000ppm solution. (yes, you read that right - three thousand parts per million). That's 600 times the safe limit for washing vegetables and fruit. Her recommendations are obviously well outside established safe limits!